Somehow women a disappearing in Manhattan from locked rooms with no sign of force entry, the Police are baffled. 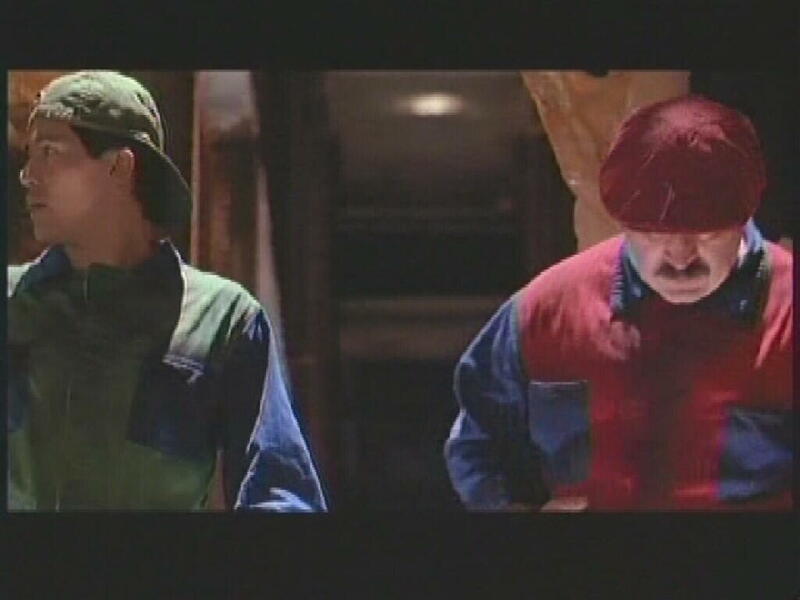 Two plumbers on a call gets caught up in the mystery when they are pulled into a parallel world that is ruled by the twisted and cruel King Koopa (Dennis Hopper). Luigi (John Leguizamo) finds and falls head over heals with Princess Daisy (Samantha Mathis) and vows to help regain her kingdom. Meanwhile Koopa is looking for the key to an ancient device that will change the world into dinosaurs. Okay, even though they got some great actors to be in this train wreck, that can't save it. A great cast can't do much without great material and they had nothing to work with. Why, do you ask? Being a fan of the video game series I happen to know something. Releasing a movie on a video game during the hight of it's popularity is a good idea, changing practically everything in said game is a real bad and stupid idea. Let's go through the list of what they did wrong, shall we? The Mushroom Kingdom isn't a major metropolis it's a fantasy world. 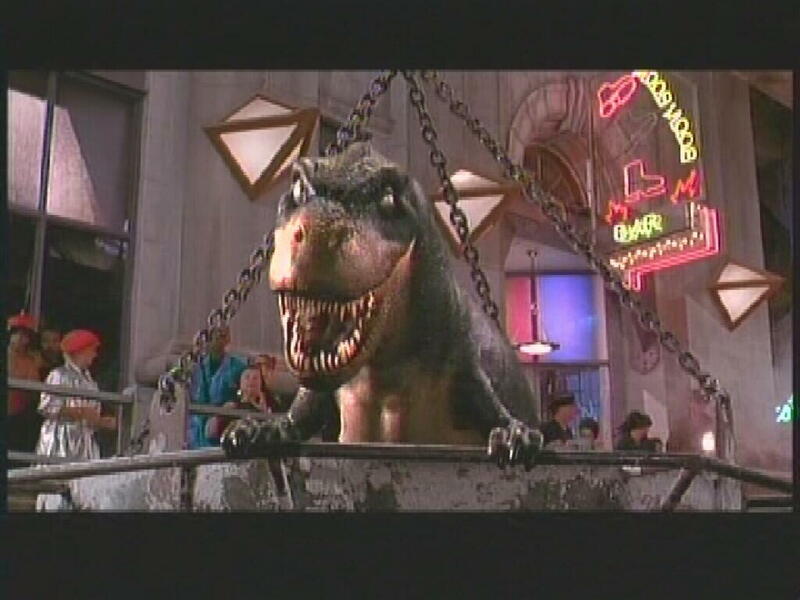 King Koopa, or Bowswer which is his first name Bowswer Koopa is not a human nor a T-Rex, he is a prehistoric turtle. Shell on his back and everything. The Princess is not named Daisy it's either Peach or Toadstool. 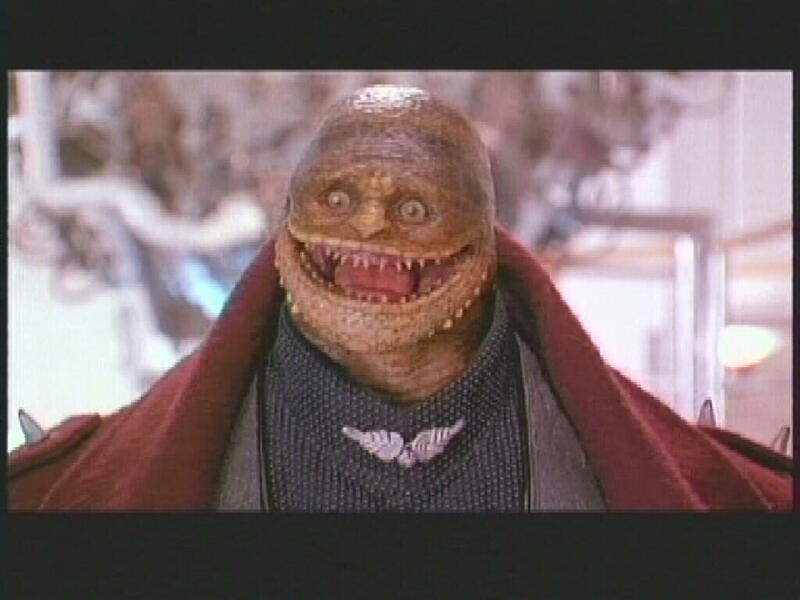 Goombas are mushroom monsters and Koopa Troopas are turtles. 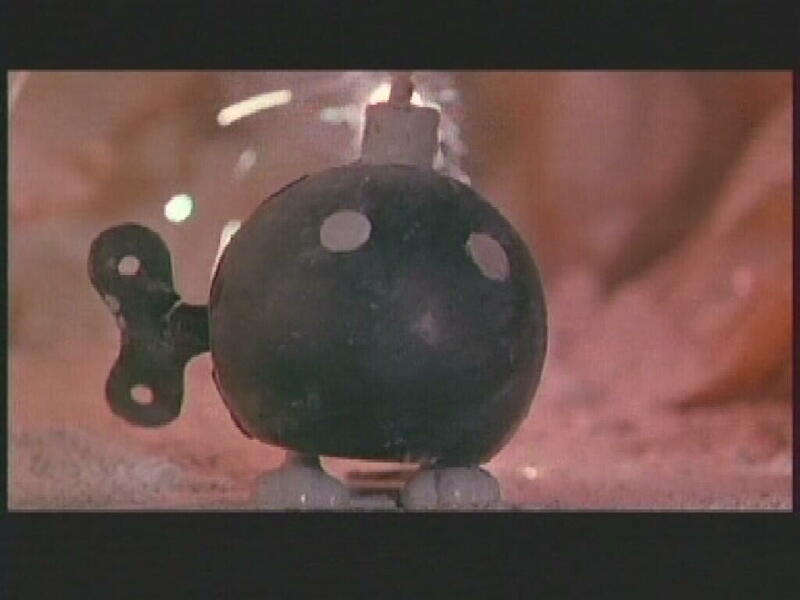 The mushroom makes Mario bigger and fire flowers give him the power to fire flowers. Now here's a biggie, Mario and Luigi are not that far apart in age. They both have mustaches and Princess Peach loves Mario! Man, I hate producers that think a fantasy needs to be more realistic when people fell in love with it the way it was. I'm sorry but I am going to have to give this movie the NOOSE! I couldn't agree more, I played every Mario game there is and never been more disappointed or ashamed with how the movie came out. Princess Daisy, what they thought Peace was too sexual or something? I would love to find the moronic incompetent imbecile who destroyed Mario. I'd like to thank him for what he did to it, I'd really love to shake his throat until he turns a brilliant shade of purple. If you ask me instead of remaking LOGAN'S RUN, they need to remake this movie and do it right this time. THE NOOSE as well.